2006 Where Should Hydrogen Go? 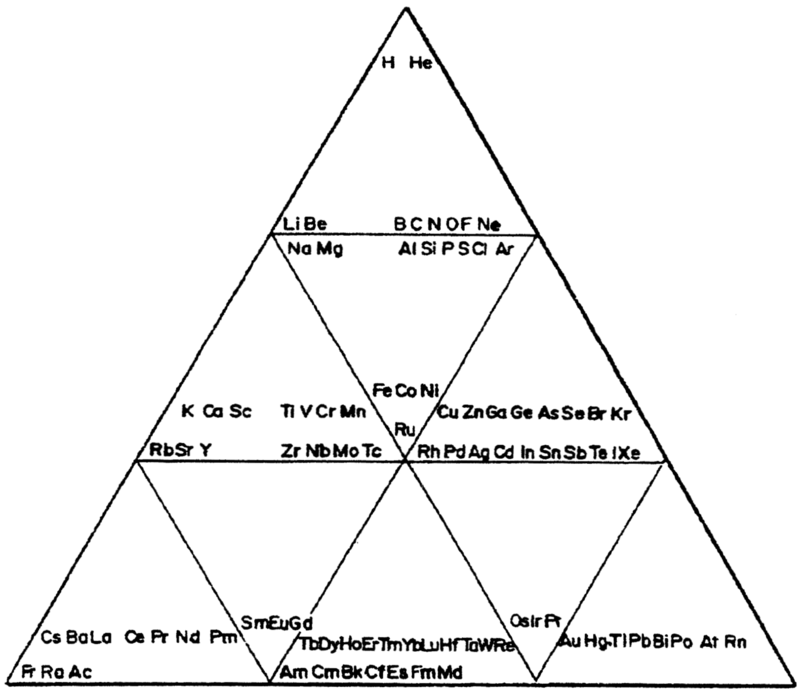 A Chemical Elements Pyramidal Diagram by Thomas Zerkov. 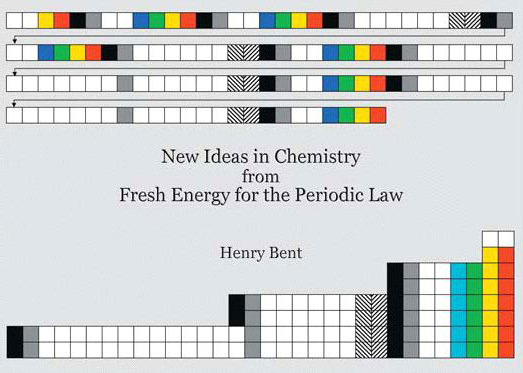 "The present work introduces a new arrangement of the chemical elements. Unlike the most popular existing arrangements, which are two-dimensional, this new arrangement is three-dimensional. It organizes the elements in a pyramidal structure of four levels, giving a clear spatial expression of different relations between the chemical elements. 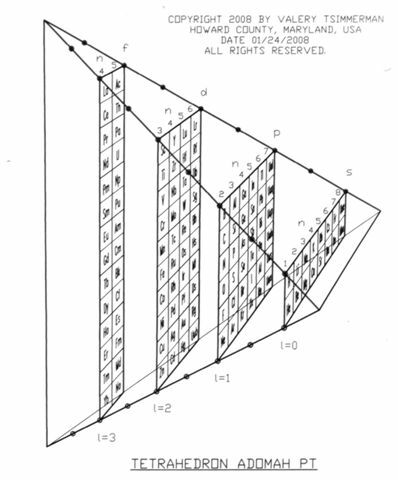 Since the three-dimensional structures are harder to perceive than the two-dimensional ones, the present work also suggests a two-dimensional table representation of the three-dimensional pyramidal diagram, where the four levels are all placed in a single plane, instead of one above the other." 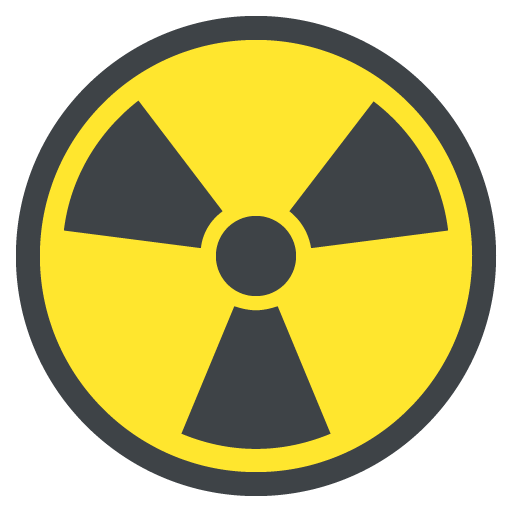 Livermorium, atomic number 116, has a mass of 293 au. 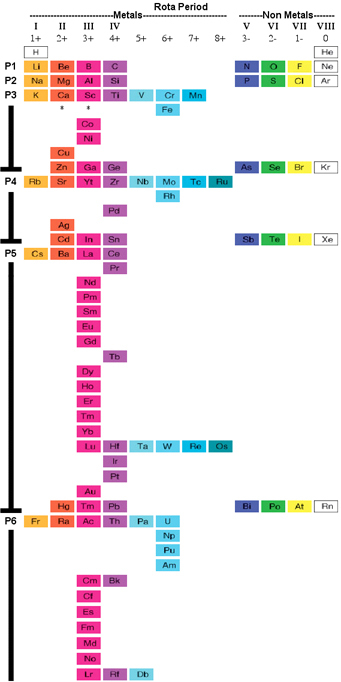 Livermorium was first observed in 2000 by Y. Oganessian et al. 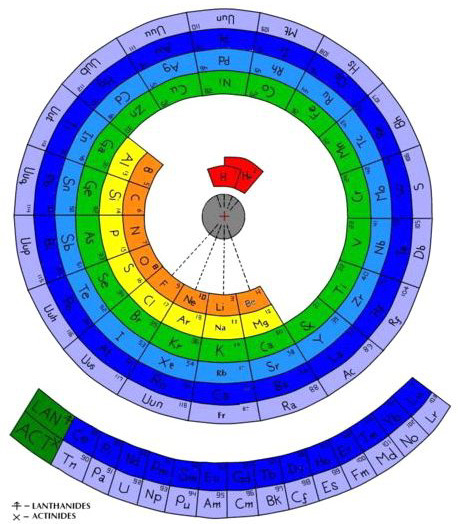 The Mayan Periodic Table of Elements, named for its similarity to the ancient Mesoamerican calendar, is based on electron shells. 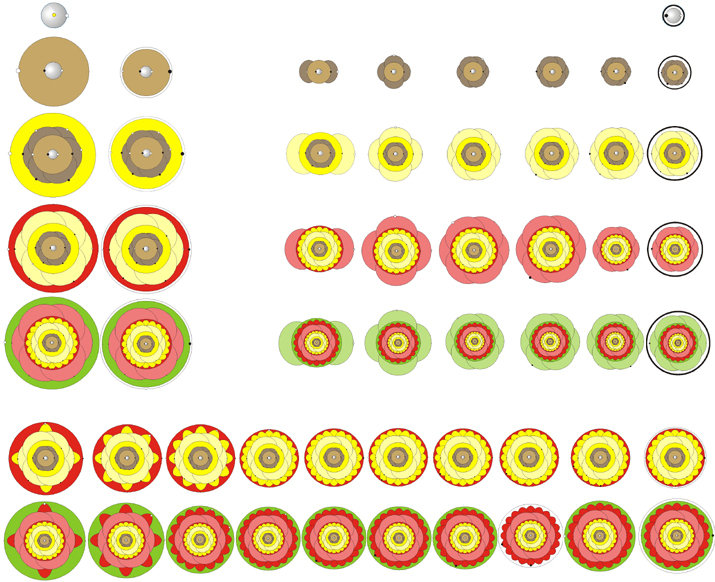 The shells are shown as concentric circles. 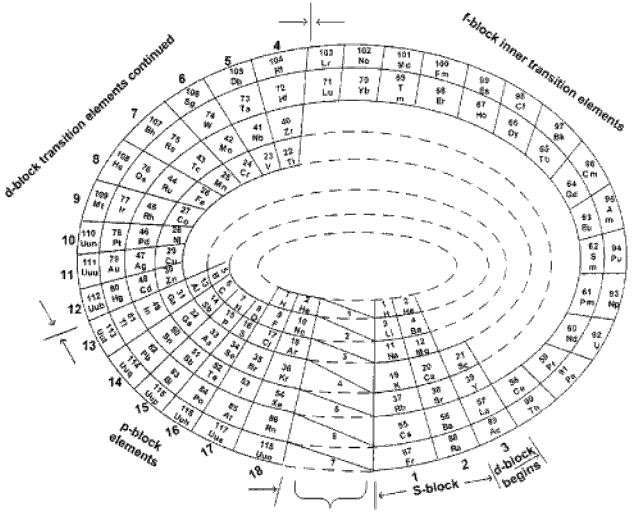 Each row in the tabular form is shown as a ring. Read more and buy the poster and T-Shirts at MayanPeriodic.com. 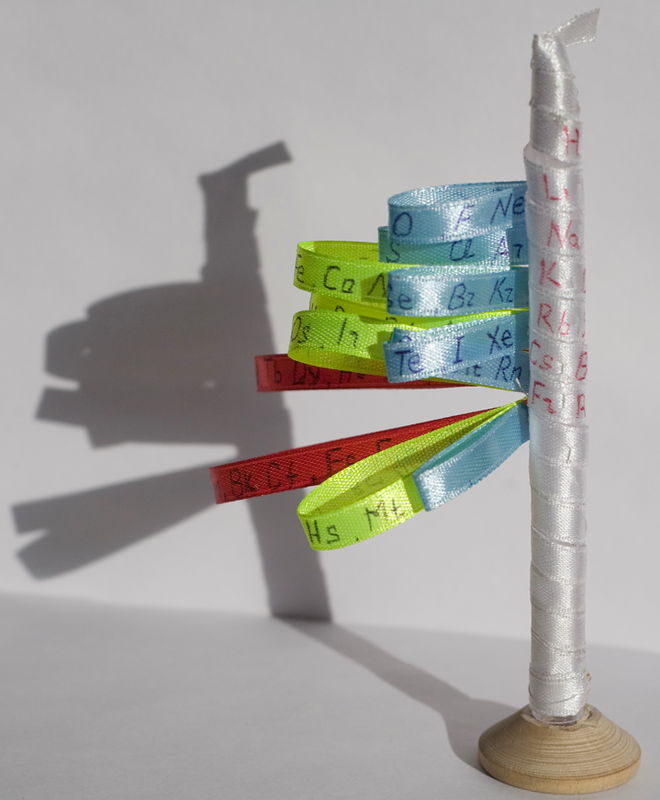 A twisting three dimensional puzzle apparatus for the study of chemistry and its history and based upon the Zmaczynski equilateral triangular model of the periodic table of the chemical elements. Each face of the pyramid has a series of equilateral shaped portions bearing portions of the periodic table of elements. 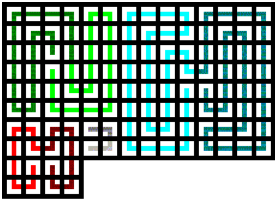 The different segments can be rotated around in order to scramble the puzzle. Such portions can be constructed using same or similar technology that was used to design the Meffert PYRAMINX PUZZLE that is similar to the RUBIK'S CUBE design. Oganesson, atomic number 118, has a mass of 294 au. Oganesson was first observed in 2002 by Y. Oganessian et al. 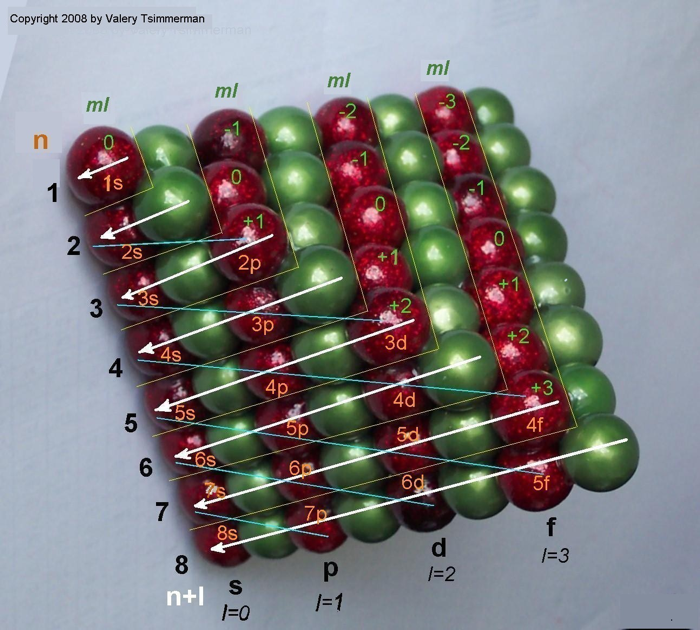 Electronic structure can be illustrated adding electrons to boxes (to represent orbitals). This representation shows the Pauli exclusion principle, the aufbau principle and Hund's rule in action. The Proper Place for Hydrogen in the Periodic Table, a paper by Marshall W. Cronyn of the Department of Chemistry, Reed College, Portlland. "I am a self-taught, underground cartoonist - around the end of 2005 I began studying ether physics, & mid 2006 orgone biophysics. 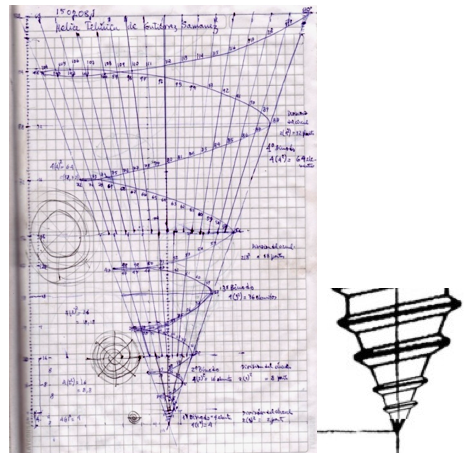 End of 2008 I was going through old note & sketch books while compiling pieces for a poetry book, & came across a sketch I did in 2003 of the first 20 elements of the periodic table in a spiral. I had just begun studying the ether vortex model of the atom & thought a vortex model of the periodicity might be a fun experiment so I played with it more. I didn't remember what inspired the original concept sketch 5 years later, but my guess was I had stayed up too late watching public television again. 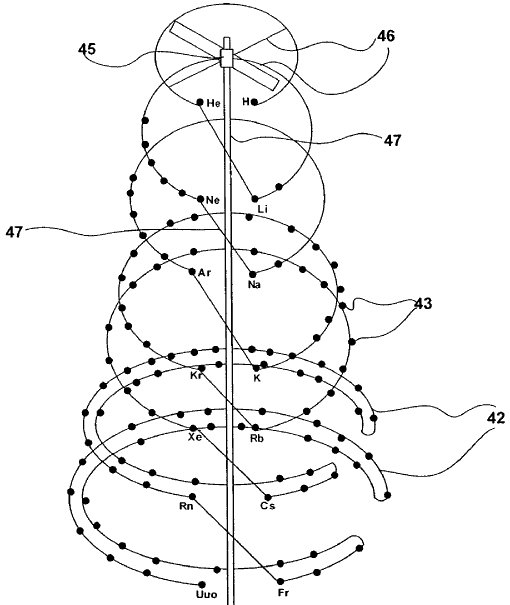 It probably had to do with some 4-Dimension ring concepts I was playing with, but by 2008 I was thoroughly involved in 3-D biophysics & wasn't thinking back to earlier thought experiments I had done." From Number Patterns in Nature by Jan C.A. Boeyens, Crystal Engineering 6 (2003) 167–185. Nihonium, atomic number 113, has a mass of 284 au. Nihonium was first observed in 2003 by Y. Oganessian et al. and K. Morita et al. Moscovium, atomic number 115, has a mass of 288 au. Moscovium was first observed in 2003 by Y. Oganessian et al. 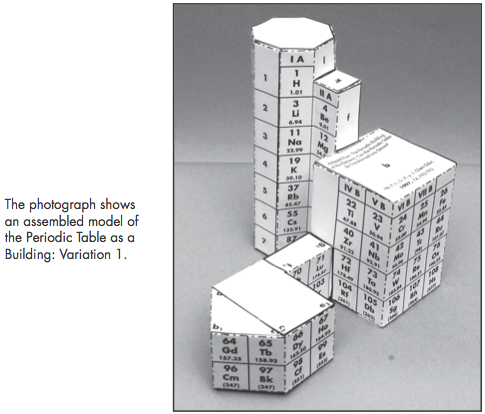 Michael Laing's "Revised Periodic Table with the Lanthanides Repositioned", from Foundations of Chemistry 7:203-233. The new system emphasizes oxidation states. 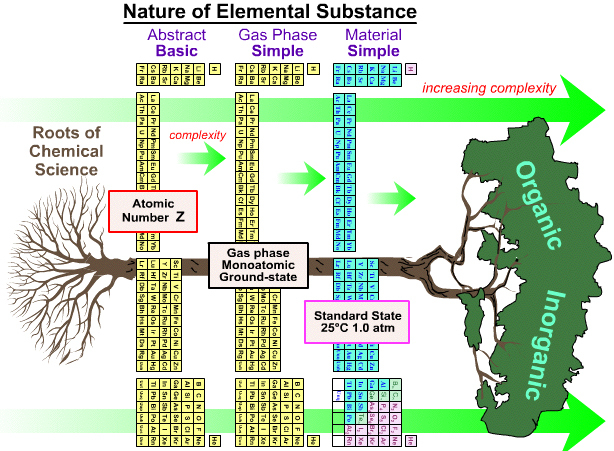 The elements Eu and Yb fall directly below Ba, indicating the common oxidation state of 2+. 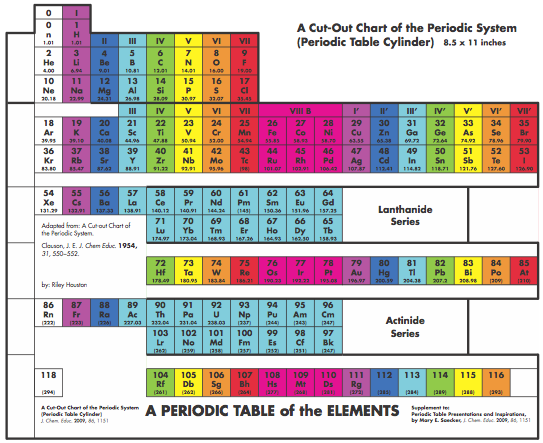 Elements La, Gd, Lu fall in a column below Y, all having the dominant oxidation state 3+. Ce and Tb fall between Zr and Hf in keeping with their 4+ oxidation state. Pm (Z=61) lies immediately below Tc (Z=43), both without stable naturally occurring isotopes. The easily attained oxidation states of 2+ for Am and No, and 4+ for Bk are evident from the analogous positioning of the actinides. "It seems wrong to suggest an analogy between Pr to Sm and Dy to Tm with the V, Cr, Mn, Fe groups. 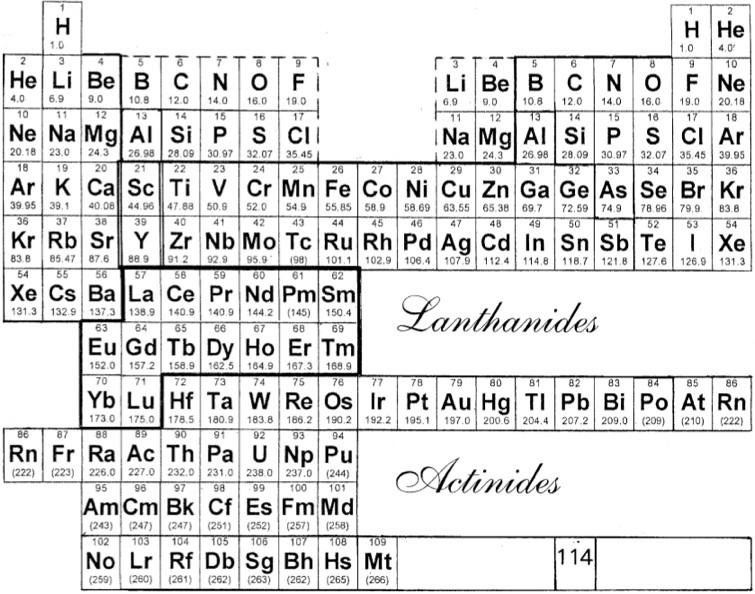 I have pushed them to the right to suggest that those lanthanides are like the old group VIII (including the coinage metals); like them they cannot use all their outer electrons in bonding (with the exception of Ru viii and Os viii. I have treated the actinides differently to take account of Pa v and U vi. It's ability to lose the juxtaposition of Tc and Pm, but it is physical rather than chemical anyway." 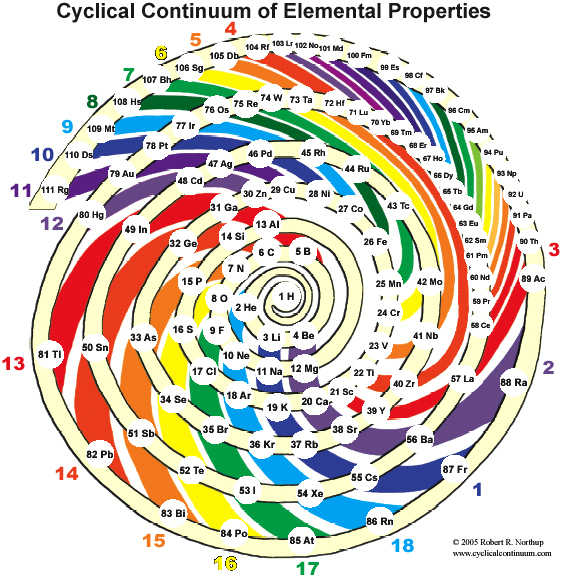 "The Cyclical Continuum of Elemental Properties is a user-friendly teaching tool that is intended to accompany the Periodic Table of Elements. 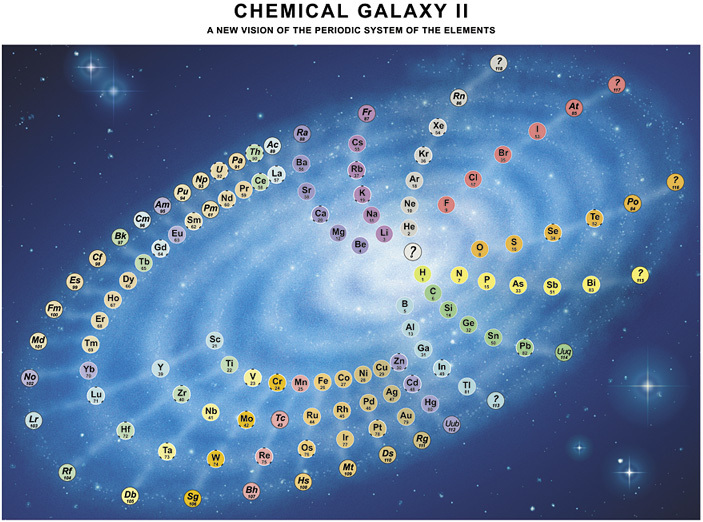 Hydrogen is shown at the center, atomic numbers and symbols form an unbroken spiral, and element groups 1 through 18 (noble gases, alkali metals, halogens, etc.) 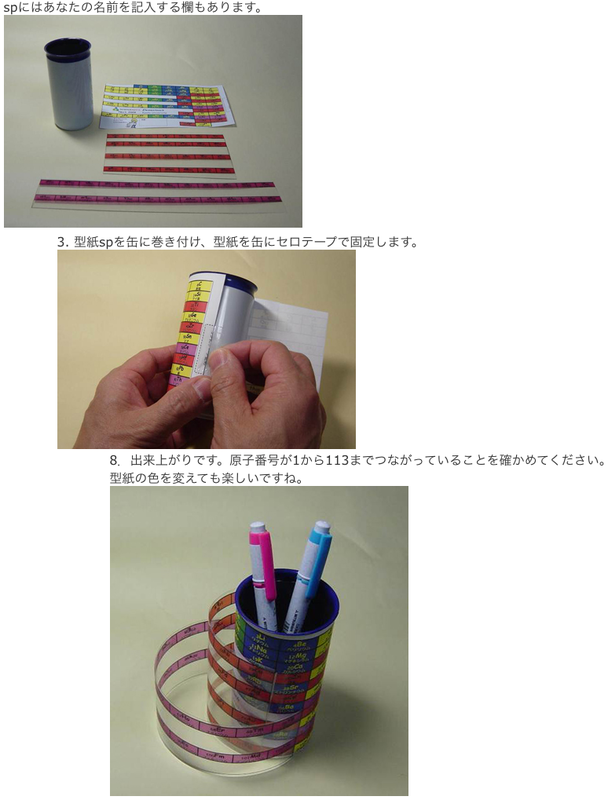 are displayed by colored arcs. 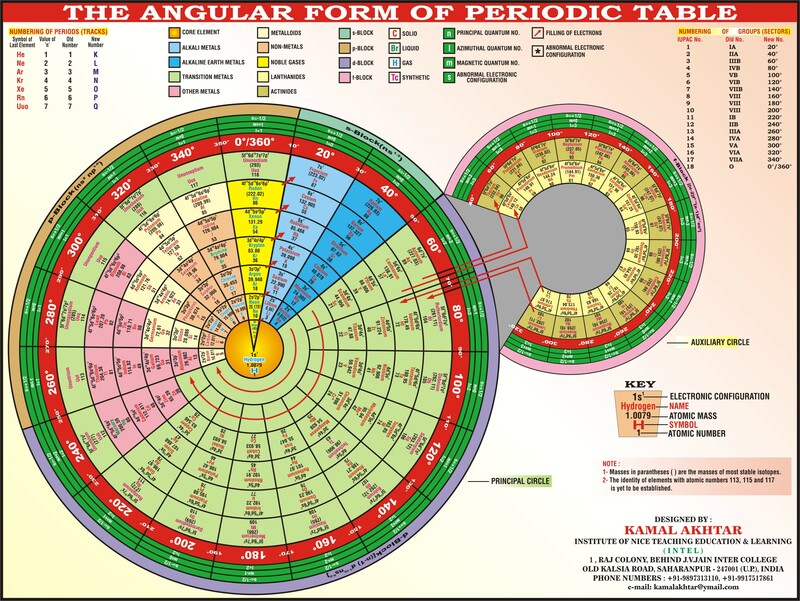 Beginning chemistry students can visually see the continuity of atomic numbers in the Cyclical Continuum as a way to introduce and orient them to the Periodic Table. 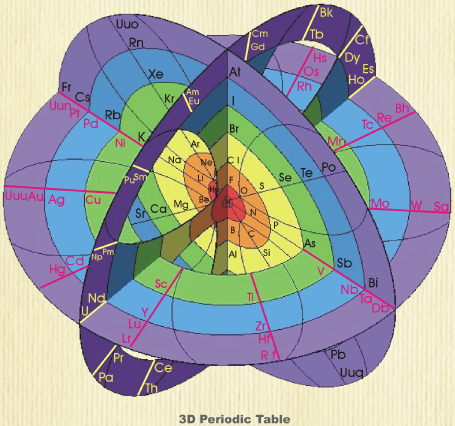 Advanced chemistry students can test their understanding of the Periodic Table's organization by applying that knowledge to interpretation of the Cyclical Continuum." 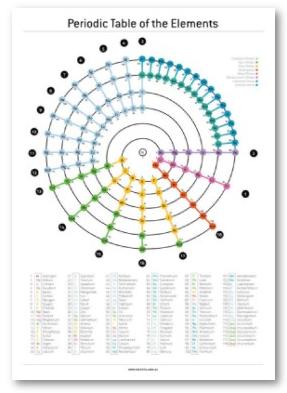 Read more and buy the poster at the Cyclical Continuum web site. The tiniest ball in the center is hydrogen, the next helium, lithium, etc. Colors indicate the chemical group. A Group 1 element, above Li, because it forms H+ ions. 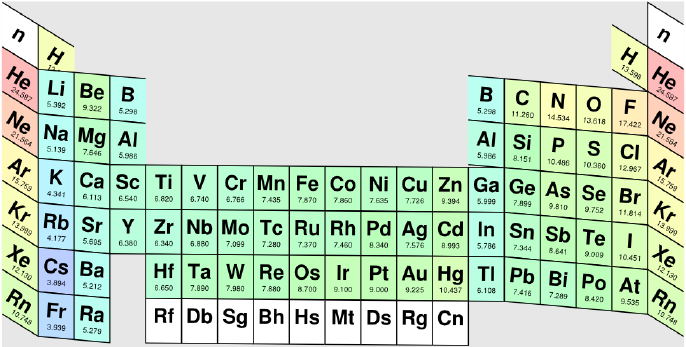 A Group 17 element, above F, because it forms H- ions. Above and between boron and carbon because it is of intermediate electronegativity. In the top middle, because nowhere else is ideal. 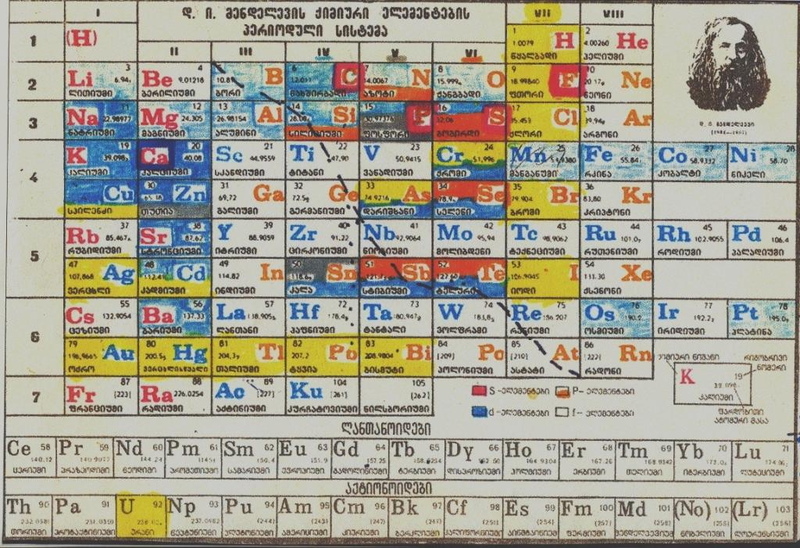 Eric Scerri says, "I have recently developed a new periodic table with some very nice features. I am now shifting my allegiance from the left-step table to this one." New design based on the fundamental nature of triads, and on atomic number triads in particular. 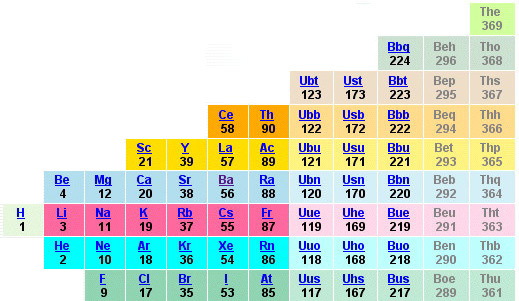 H,F,Cl is a new perfect atomic number triad not featured in the usual medium-long form table. There are also many chemical arguments for placing H among the halogens rather than the alkalis. All period lengths repeat without fail, unlike in the medium-long form. 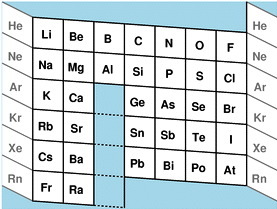 Also note the bi-lateral symmetry assuming the rare earths are given as a footnote. Read the paper on the philosophy of science web site. 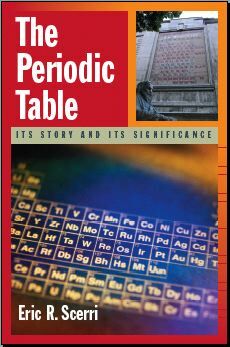 Eric Scerri, The Periodic Table: Its Story and Its Significance, Oxford University Press, 2006. Read an interview with the author, here, and a review of the book here. The ADOMAH periodic table is based on the Janet or left-step periodic table. It consists of four blocks (s, p, d & f) corresponding to quantum numbers l = 0,1,2,3. Blocks are separated, shifted and reconnected with each other via diagonal lines. This arrangement creates "layers" or "strata" that retain continuity in respect to atomic number Z, in addition to usual columns and rows. 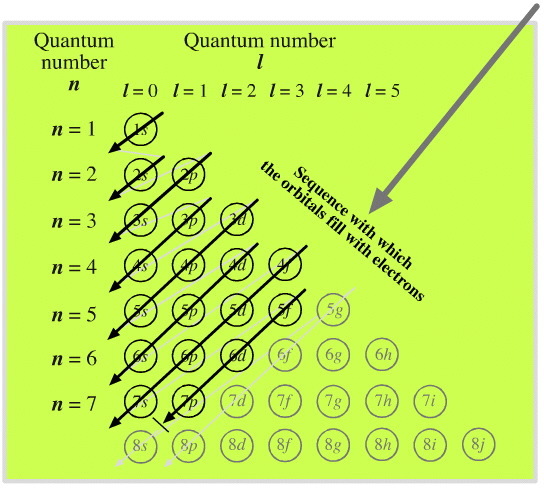 Therefore, numbers shown on the right hand side of the table may represent either quantum numbers n (electronic shells) if horizontal rows are followed, or n + l if "layers" or "strata" are followed. 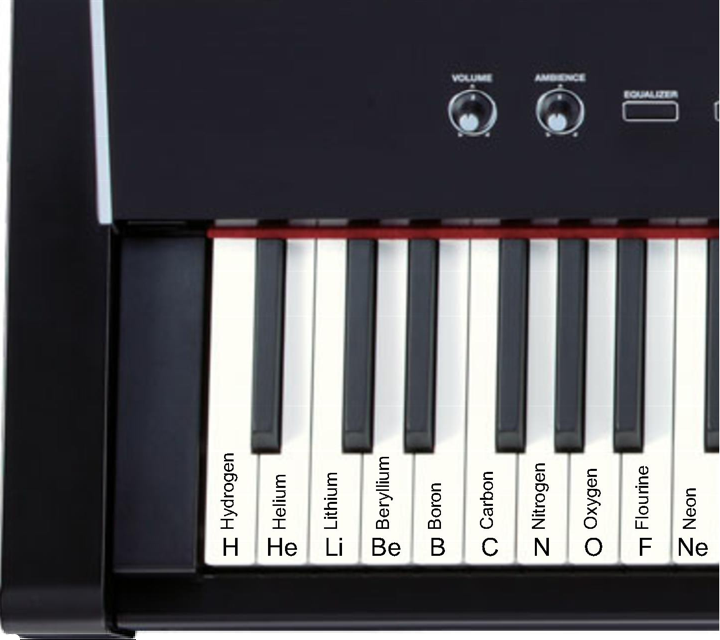 This feature assists in creation of electronic configurations of the elements. 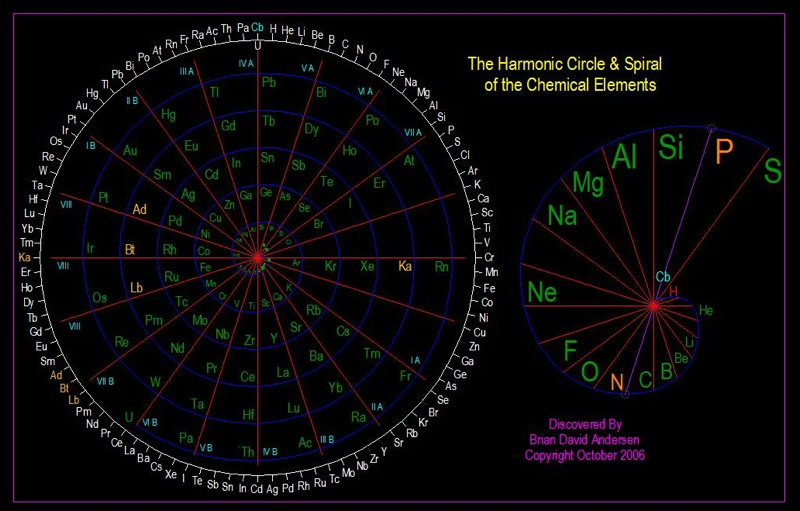 Elements H and He are placed in two positions that reflect their dual nature and give proper consideration to atomic structure and chemical properties of those two elements. This feature also preserves triads He, Ne, Ar and H, F, Cl. Also, the elements are placed in rectangular "boxes", so any two of such "boxes" make up a square thus symbolising electron pairs. This also cuts table length in half. 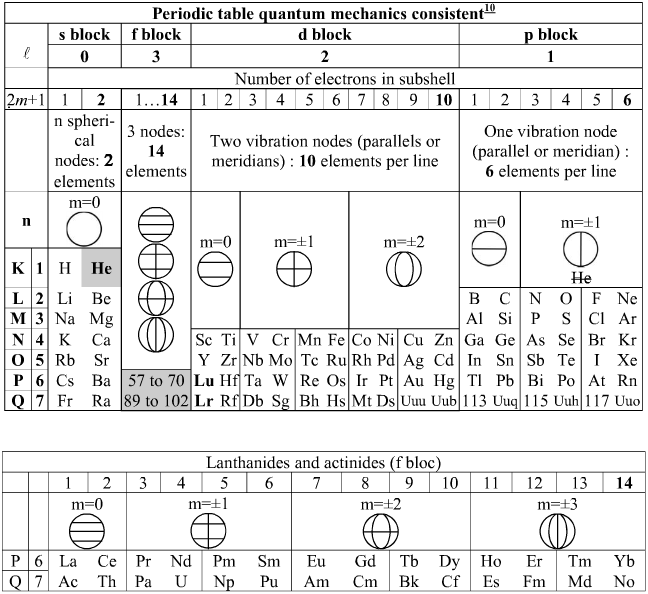 Unlike the Janet table, this table is assembled from bottom up in direction of increase of quantum number n, as well as atomic weight and energy. 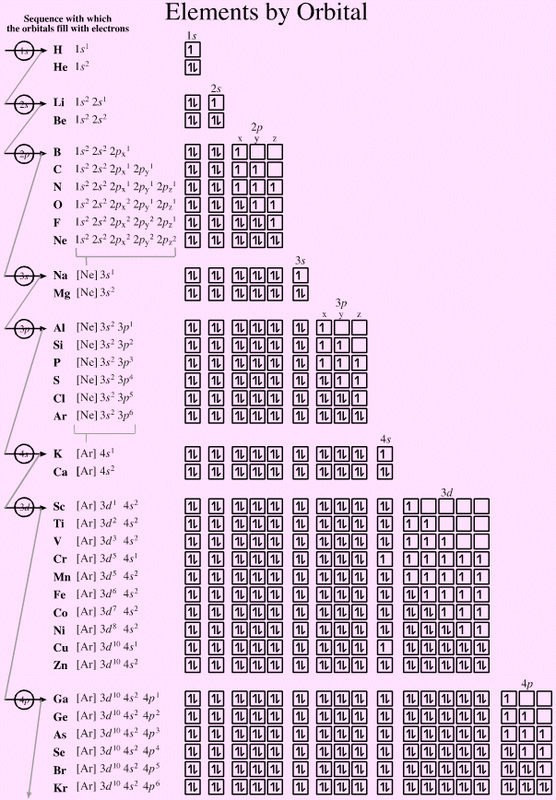 The ADOMAH table has symmetry and, assuming total number of elements 120, can be divided in four parts of 30 elements with center point located among precious metals. 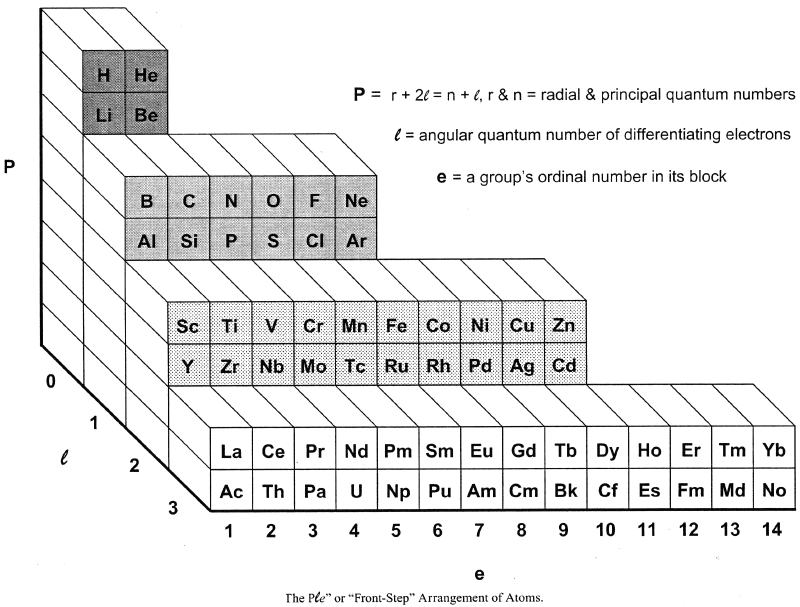 OK, so which Is The Best formulation of The Periodic Table? Personally as a reaction chemist, my preferred periodic table is the 'long' form shown below, with hydrogen above and between boron and carbon, although clearly other scientists have other ideas. 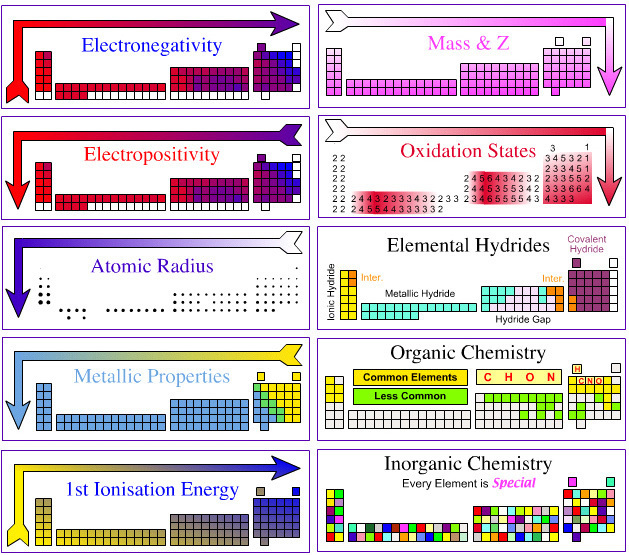 All periodic tables show the increase in mass and atomic number, Z, but only the long form unambiguously shows the general top-right-to-bottom-left trends in electronegativity, atomic radius, metallic properties and first ionisation energy. Electronegativity is absolutely crucial to the understanding of structure, bonding, material type (van Arkel-Ketelaar triangle and Laing tetrahedron) and chemical reactivity, and it underpins much of the chemogenesis analysis. 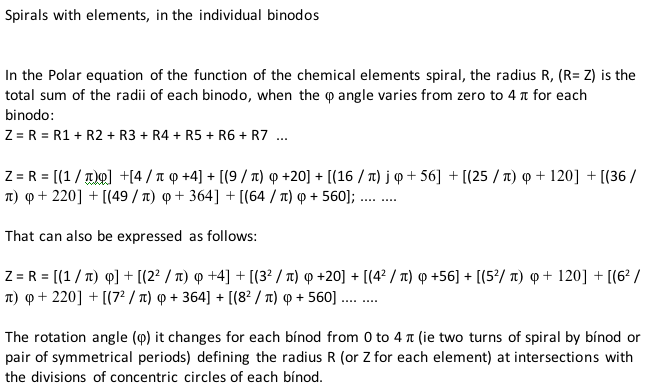 As discussed on this page of the Chemogenesis webbook, the periodic table is ambiguous as to what it is showing. 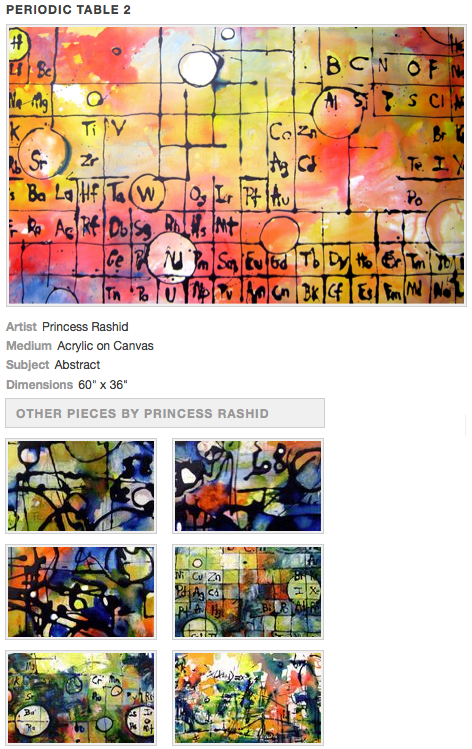 Does the PT show the element as the abstract 'basic substance', or gas phase atoms or the material substance? 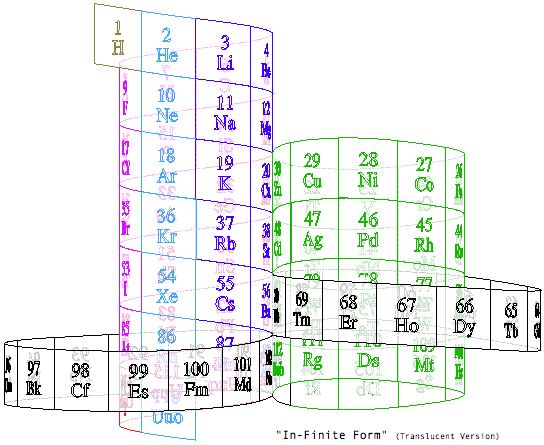 A new periodic table formulation by James Rota here. 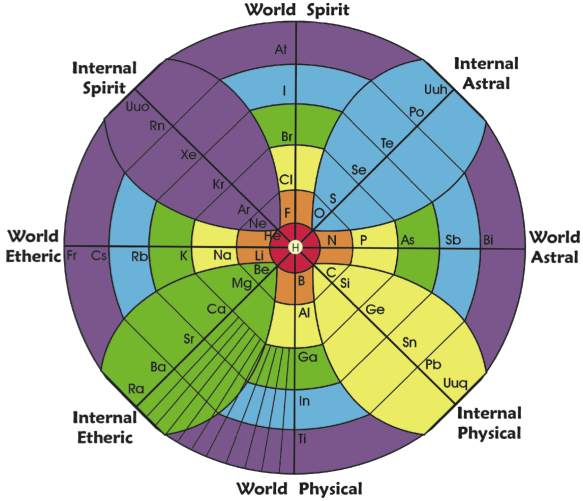 From the Garuda Biodynamics web site: "The Gyroscopic Periodic Table has been a natural progression developed from a study of Soil Science, Dr Steiner's Agriculture and Medical Courses, Astronomy and Astrology." 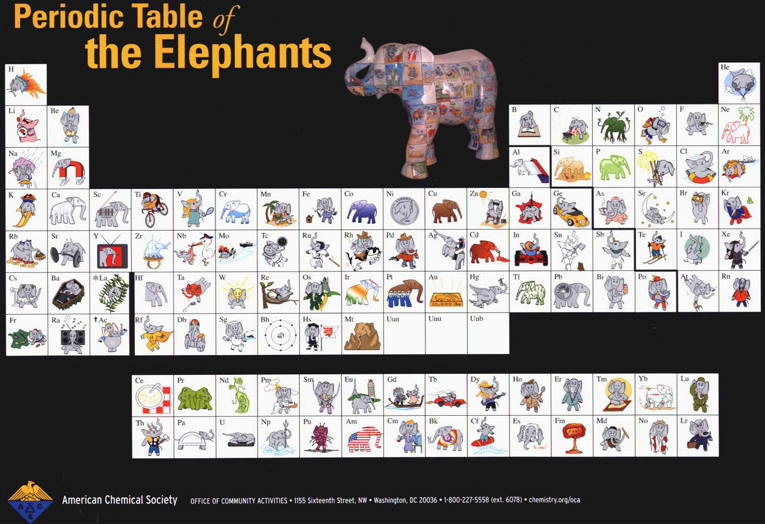 From the Useful Chemistry blog: "Further adding to the set of chemistry tools in Second Life, Hiro Sheridan has created a 3D periodic table with rotating atoms. Although not directly proportional, the relative sizes of the spheres are in the correct order. Clicking on them provides basic information about the corresponding element. 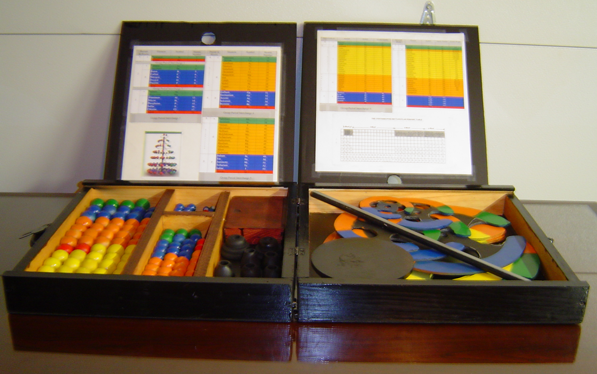 The 3D periodic table is available on the Chemistry Corner on Drexel Island." 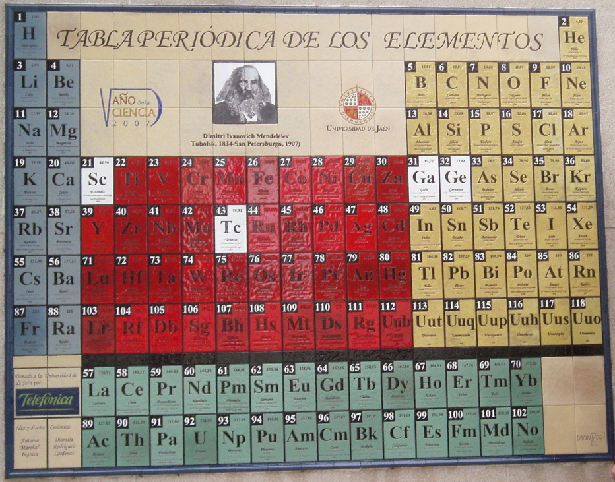 From November of 2007 a large Periodic Table placed on the main facade of Sciences Building in the University of Jaén (Spain) welcome everybody. The table was made in honor of Mendeleev on the 100 aniversary of his death and on the occasion of the Spanish Year of Science according to the concept and design of the Spanish Chemist Antonio Marchal Ingrain, who was inspired in a postage stamp launched that year in Spain. 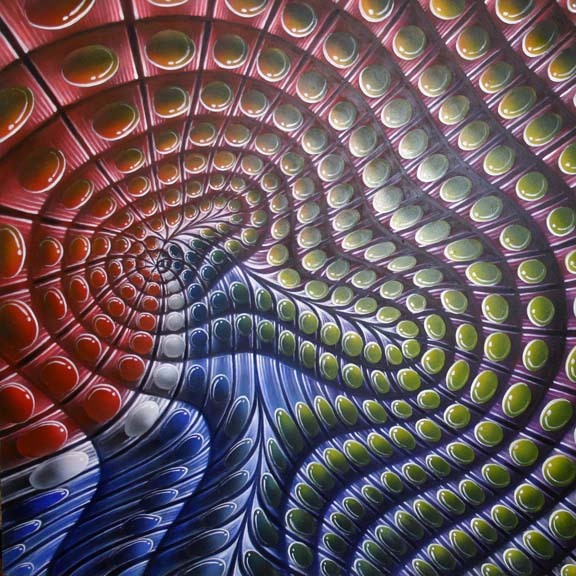 The artistic mural is composed of 117 tiles of 20 x 30 cm, one for each of the elements known to date, reaching a final dimensions of 2.8 x 3.6 meters. 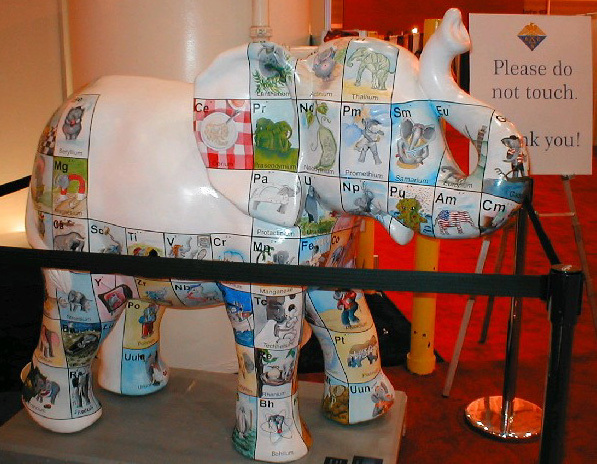 Apart from the traditional information with which students are familiar, such as the atomic number, atomic mass and the chemical symbol of the element, each of the ceramics incorporate information concerning the meaning of its name in Latin or Greek, the year and the name of the person or group of people who discovered it or isolated. Avallone EA, Baumeister T & Sadegh AM (eds) 2007, Marks' Standard Handbook for Mechanical Engineers, 11th ed., McGraw-Hill, New York, p. 6-6. Click here for a larger version. Thanks to René for the tip! 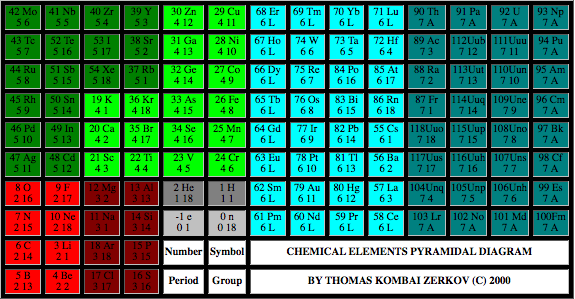 Valery Tsimmerman has developed various periodic table formulations, available at perfect perioidic table.com. 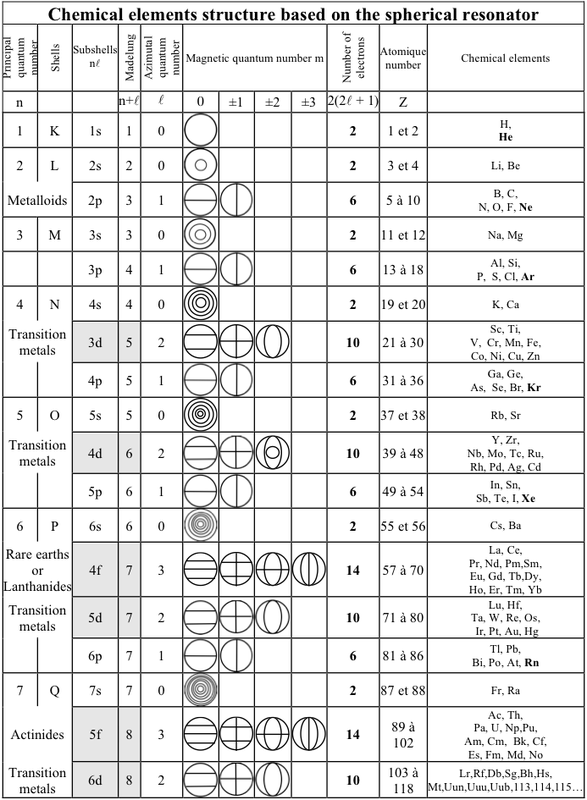 Tomás A. Carroll has devised a spherical formulation of the Periodic Table, and from this a nested Russian Doll formulation. 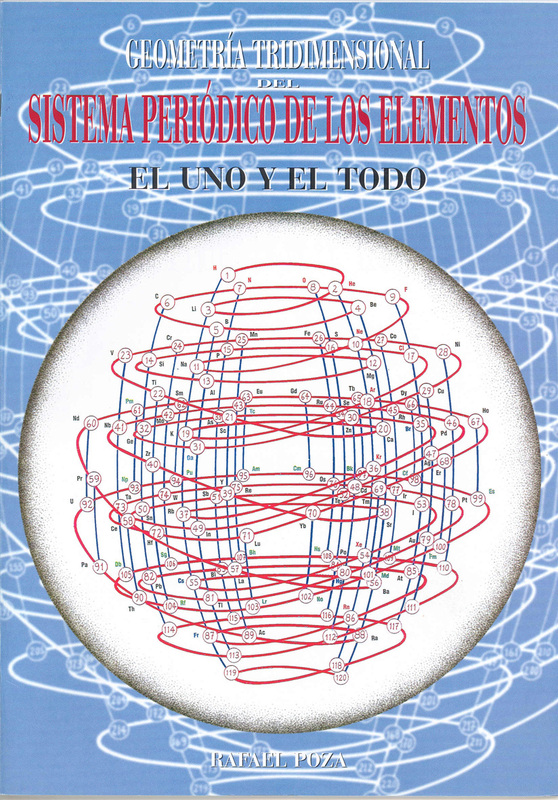 Tomás writes: "I accept your veiled challenge that it is not possible to formulate a spherical periodic table and propose two solutions for your consideration. The EXCEL spreadsheet shows exactly how I transformed the quantum numbers from the standard 4D Cartesian coordinates to spherical coordinates in 3D, using two different centers. 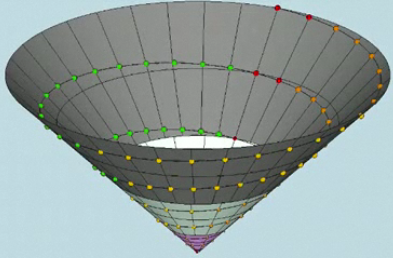 I included cylindrical coordinates too, just for fun." 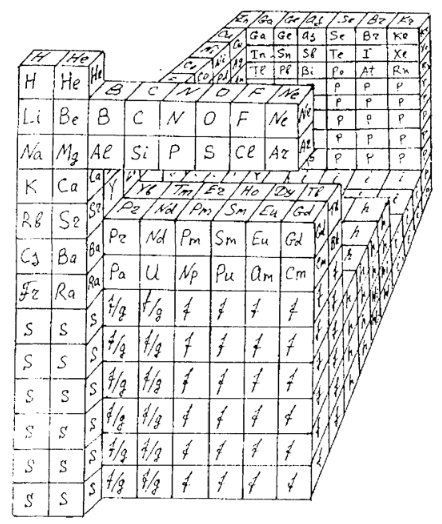 The Janet Periodic Table of Elements (1928) may be re-arranged as a series of square matrices. 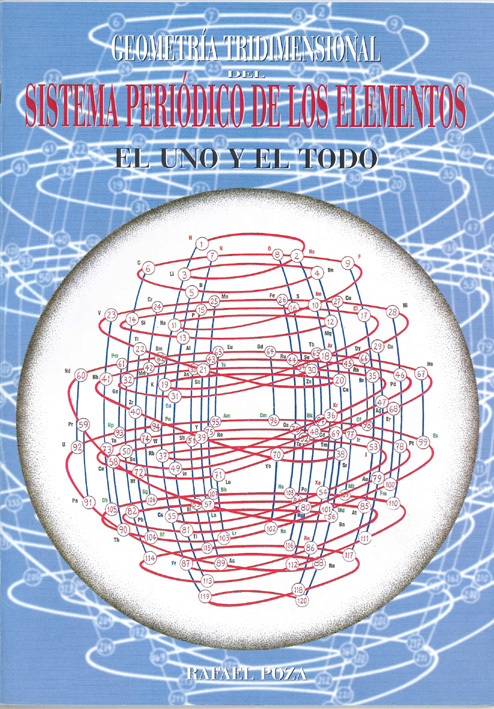 The matrices are of different sizes and each matrix organizes the atomic orbitals into square concentric rings. 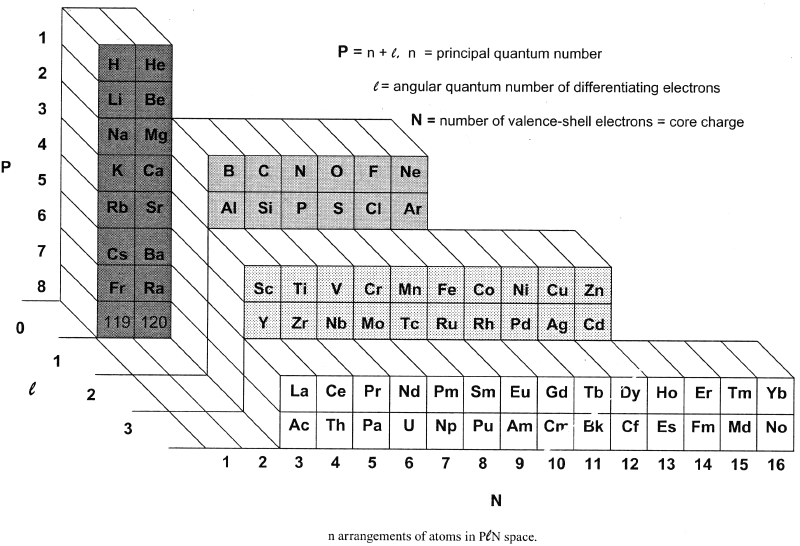 Each cell may be assigned an atomic number which also identifies a “most significant electron”. 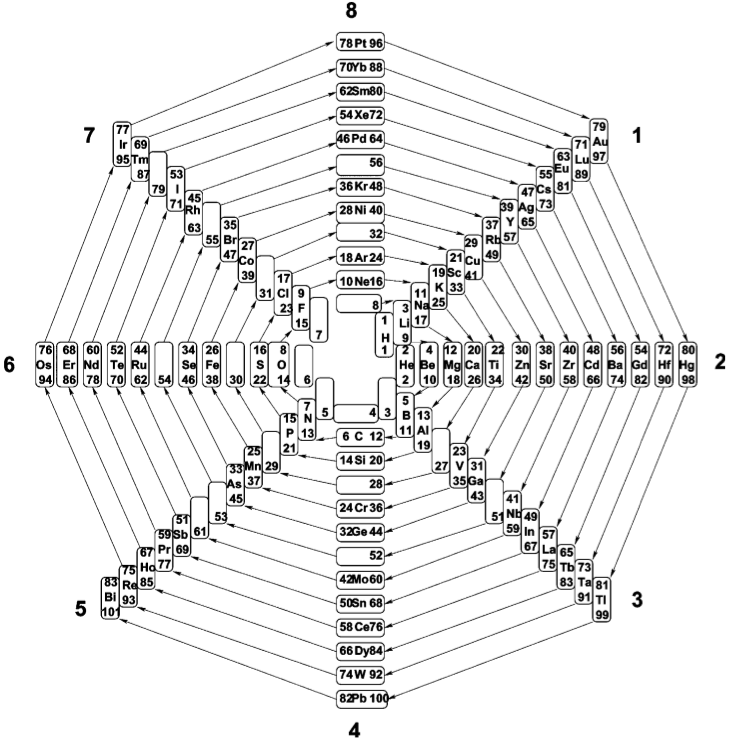 The matrices may be stacked vertically to form a periodic Pyramid Stack of Elements as shown below. The sub-atomic particles may also be arranged as square matrices. These matrices may be stacked. Read more here. "The complete periodic table is consists of two circles, principal circle and auxiliary circle. 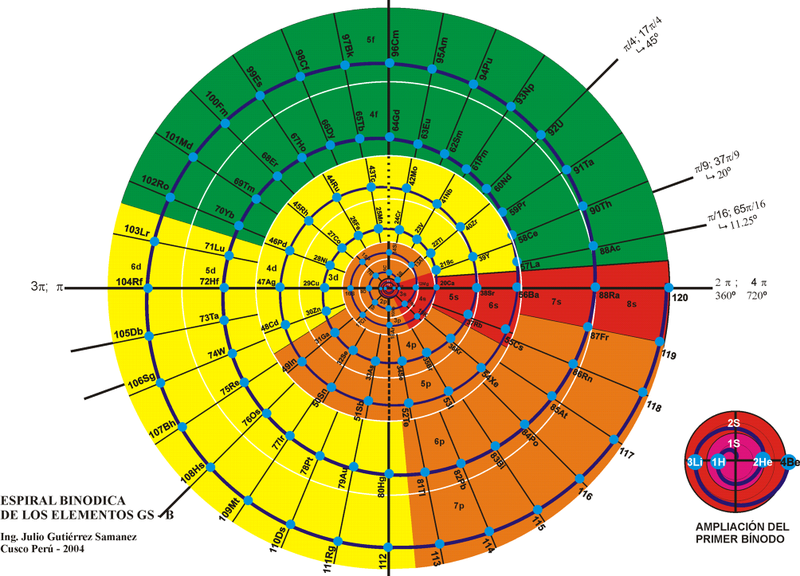 The principal circle is consist of seven tracks (periods) and eighteen sectors (groups). 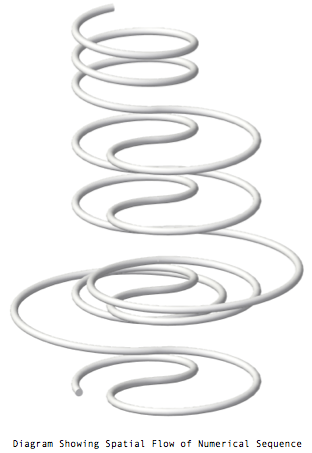 The auxiliary circle is consist of only two tracks, inner track and outer track. There is no division of sectors in auxiliary circle." Read more in a word.doc. View the full size PT. 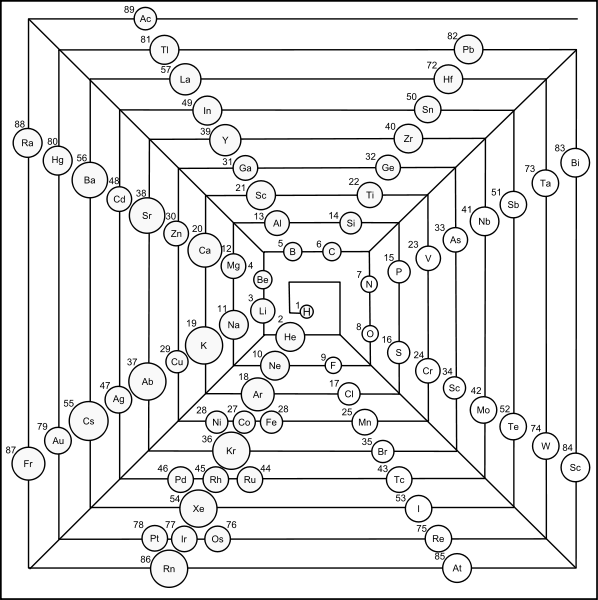 My graphic representation of the orbitals needed for the periodic table is without brilliant colors, but much simpler. 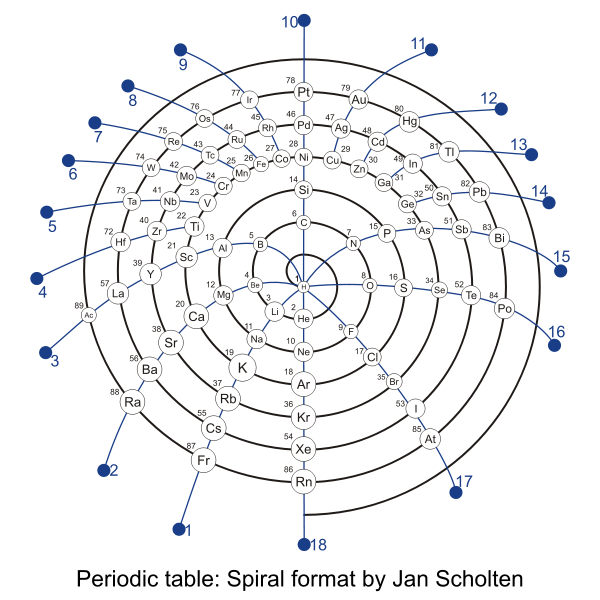 It shows the nodes of vibration of the spherical resonator (a spherical musical instrument) also called spherical harmonics appearing in the spherical solution of the Schrödinger equation. It may be noticed that the atom is also a spherical resonator, not of sound but of the de Broglie waves. 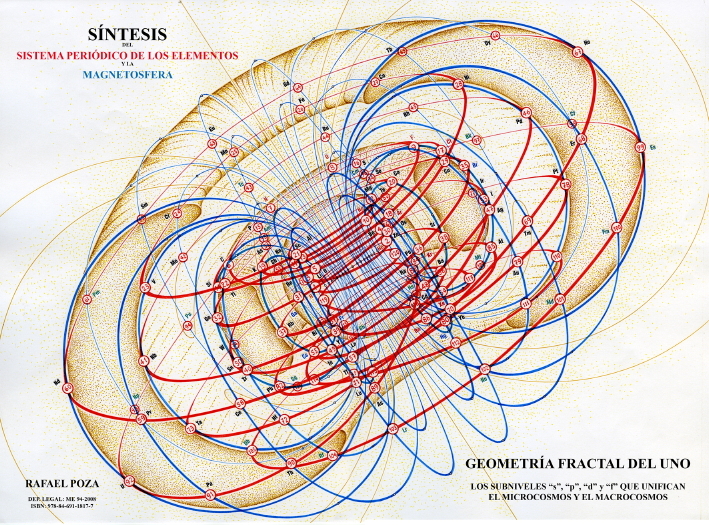 The spherical harmonics (feminine word in french!) have been discovered by Legendre two centuries ago, see my book. 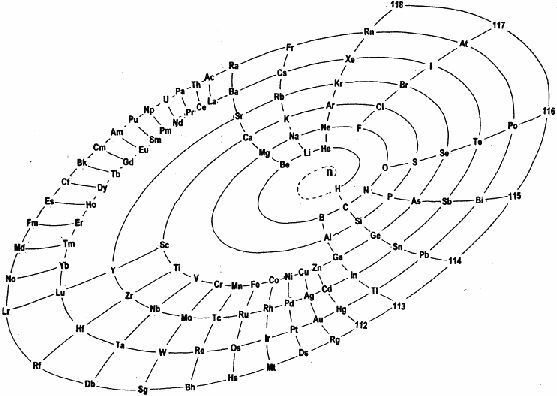 Only the plane nodes of vibration are shown. 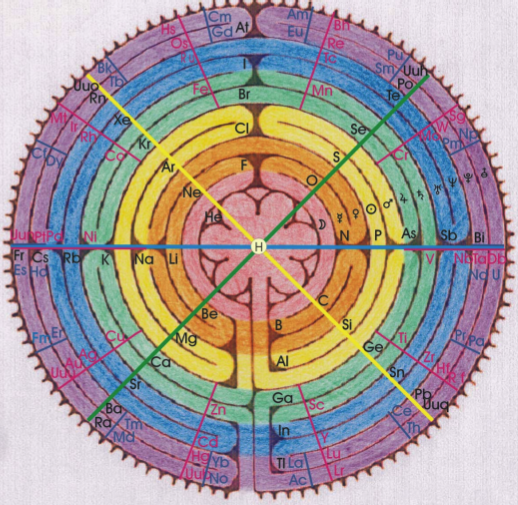 The nodes of the orbitals are a 3D equivalent of the Chladni figures (also discovered two centuries ago) on a vibrating plate: "Aufbau" with spherical harmonics. The random electronic exceptions in the subshells don't appear. 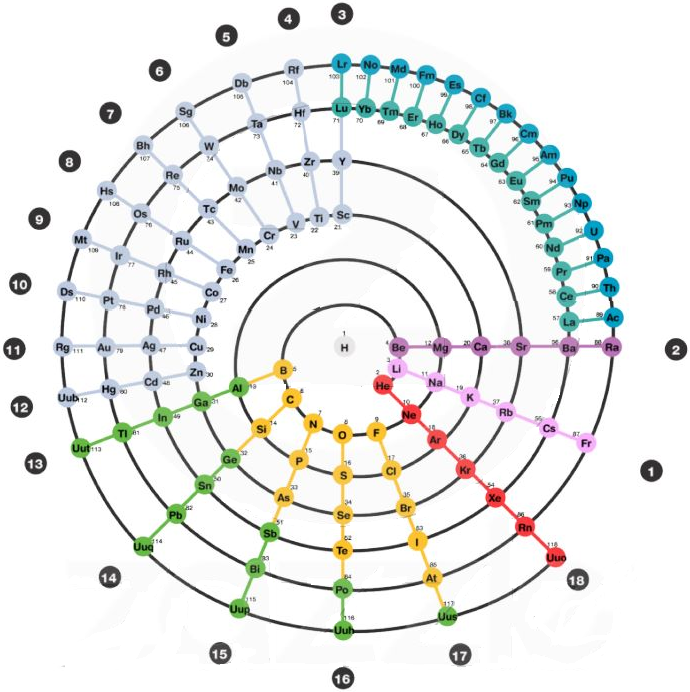 The spherical nodes of the orbitals are represented only for the s subshells. 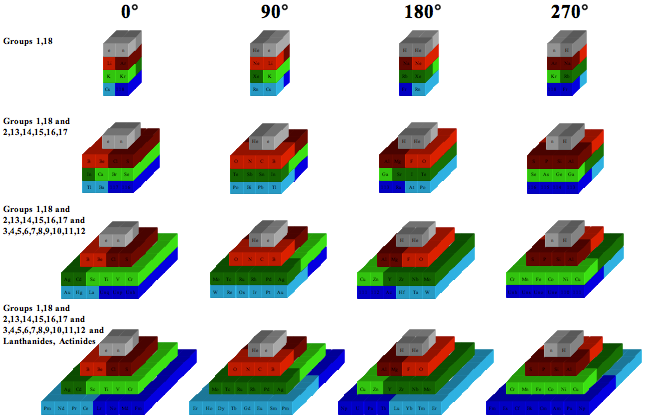 This is a much simpler representation than the usual 3D representations. 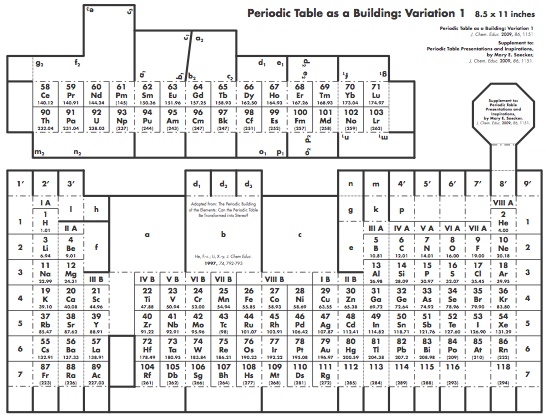 It can be used to represent the entire periodic table as I have shown earlier. 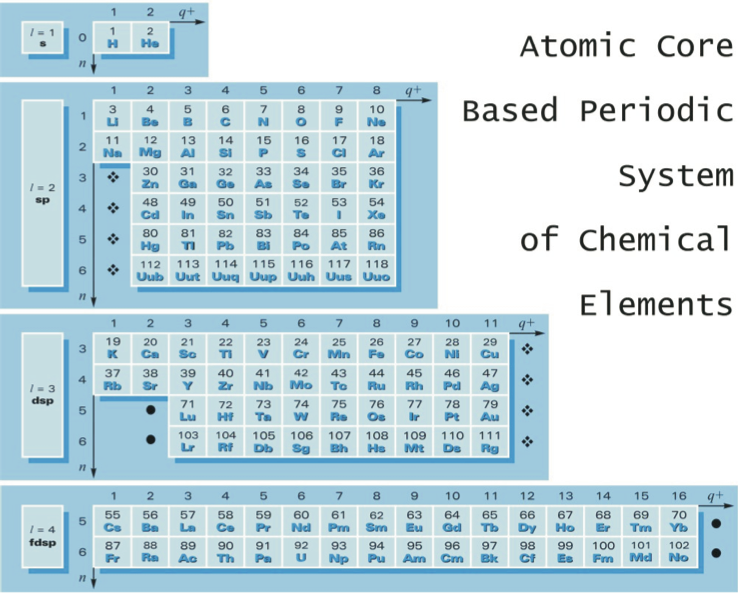 The elements are in regularly increasing atomic numbers. 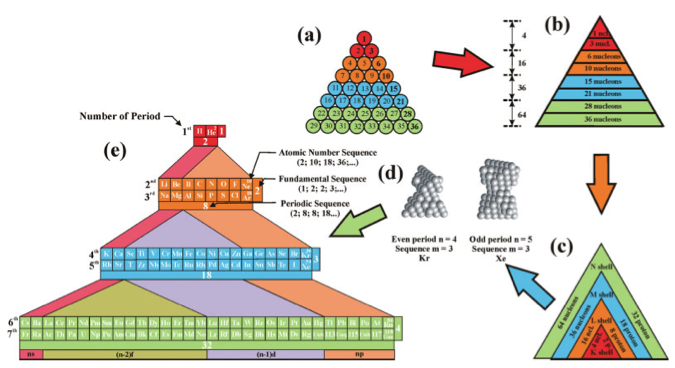 Mathematical formulas describing all of the sequences of the chemical elements are derived from double tetrahedron face-centered cubic lattice model. More here. 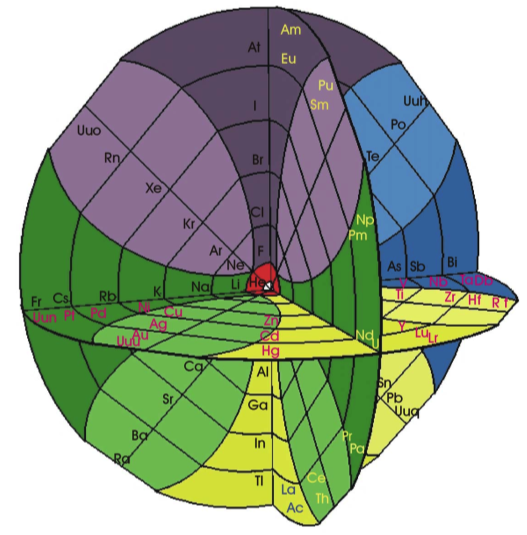 From the Science Photo Library, a computer illustration representing the periodic table of the elements as a wheel structure. 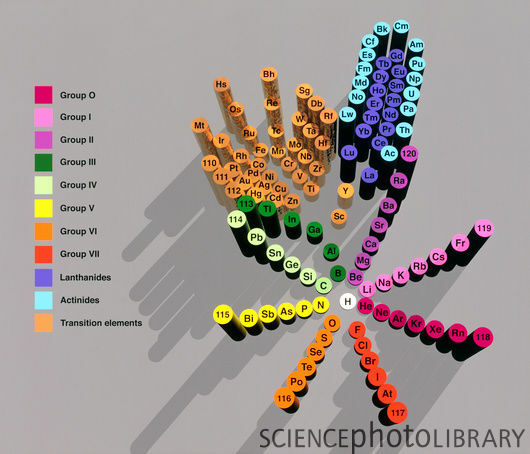 The radiating spokes are the groups and are colour coded. The heights of the columns represent the elements' atomic numbers, being the numbers of protons in their nuclei. 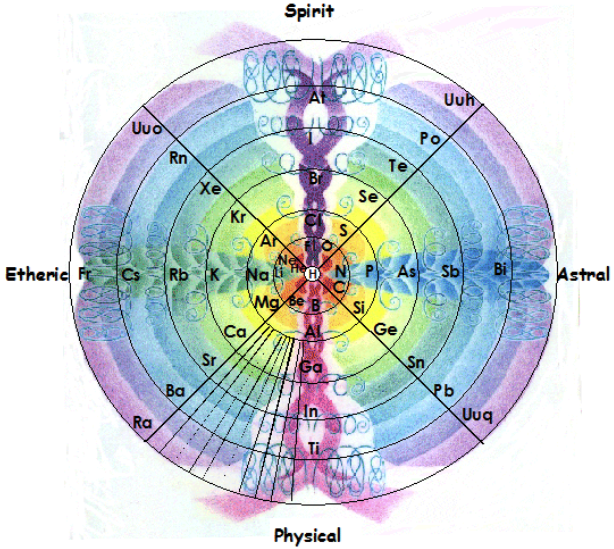 The elements in any one group share many chemical and physical properties. At the wheel's centre is the first element, hydrogen, (H, white). 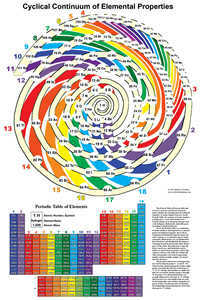 At the end of each spoke, the elements are unnamed, and only their atomic numbers are shown, from 110-120. 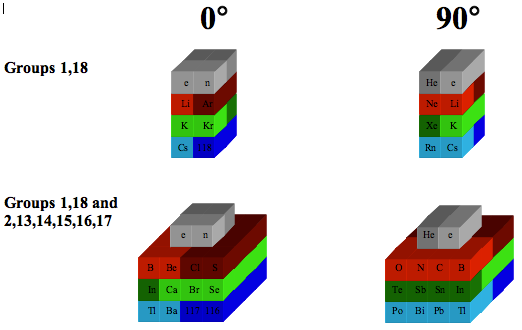 The transition elements (upper left, orange) and the Lanthanides and Actinides (upper right) are blocks of elements with predictably varying properties. existing group, or rather creating their own group. View larger pdf file. 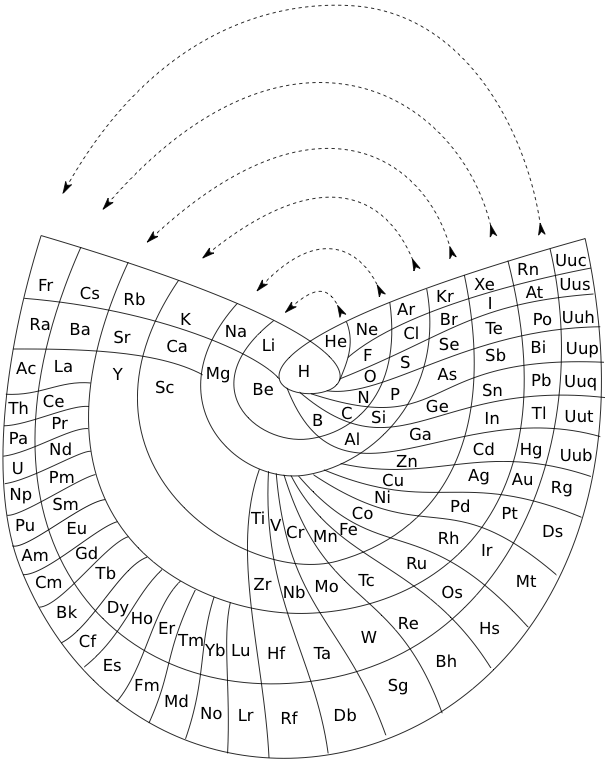 "Every element has its own unique Periodic Table which is a mixture of two Ideal Forms. However, the main point at the moment is what level of complexity would be suitable? I am trying to get the most minimalistic presentation of the essential features. Explaining the logic governing the 'reversals' is quite tricky, if not controversial, and others may have more conventional rationales and so better fill in the details." 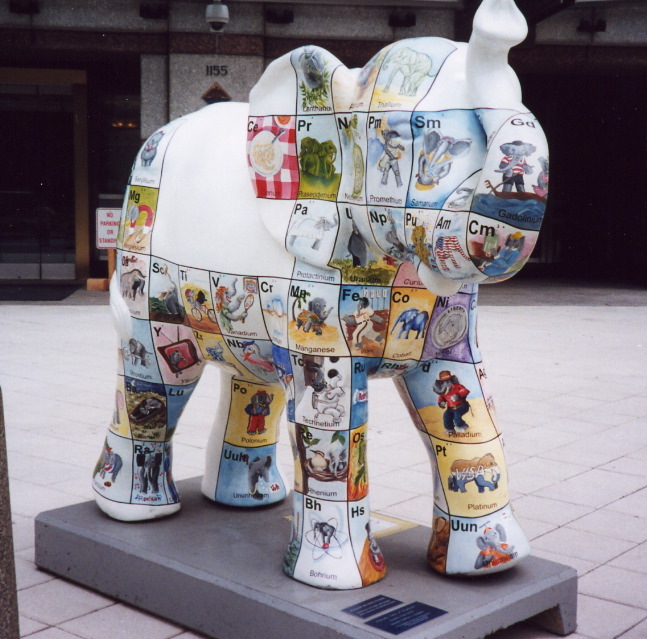 "I'm a figurative sculptor, living in Minneapolis MN. 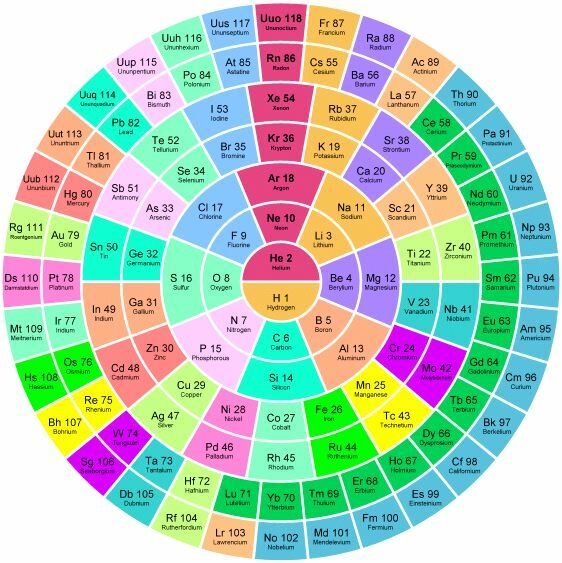 A few years ago, while looking at a two dimensional version of the periodic table, I too wondered if it would be possible to create a Periodic Table without any visual breaks in its numerical sequence. Although I had never seen anything other than the rectangular flat table, I thought I might be able to solve this spatial continuity problem three dimensionally. I also wanted to limit myself to using a 3-D "line" that had no sudden changes in direction. After coming up with what I thought was a new and unique sculptural resolution, I put the project aside. Only recently (after re-building my paper model out of a translucent material) did I do some research on the web, and immediately recognized the strong likeness between my version and the Alexander Arrangement. 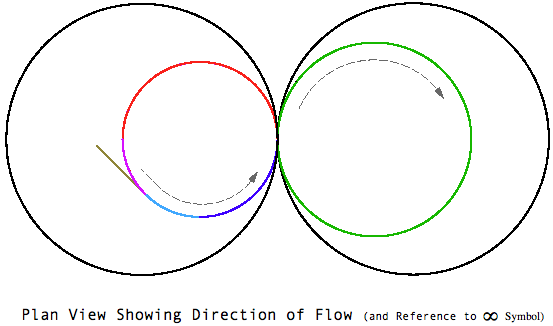 Even more surprising was my models' visual similarity to Crookes' figure eight design from some 111 years ago. "Although there are obviously many inventive and well thought out responses to this design challenge, I believe that my solution is a unique one, and an improvement over some of the previous three dimensional forms. The "line" of my model allows for contiguous numerical placement of all the symbols (while maintaining group continuity along its vertical axis), even as the shape of its plan view makes visual reference to the well-known symbol for infinity. 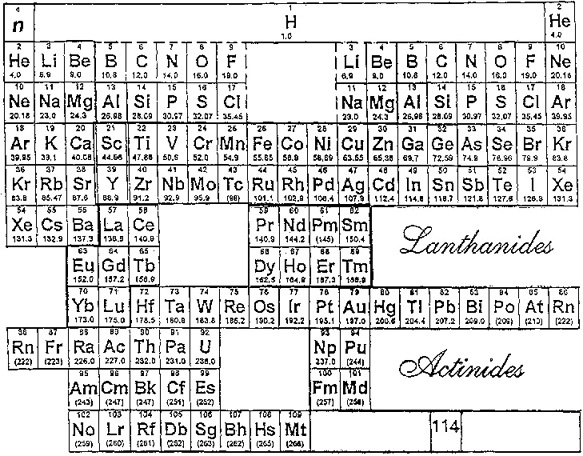 What's more, in my version, the Lanthanide & Actinide series do not occupy a separate field but are fully integrated into the continuous linear flow. This piece, which I've entitled "In-Finite Form" speaks to the mystery of the endless flow of space, even as it folds back onto itself within the confines of a finite system." 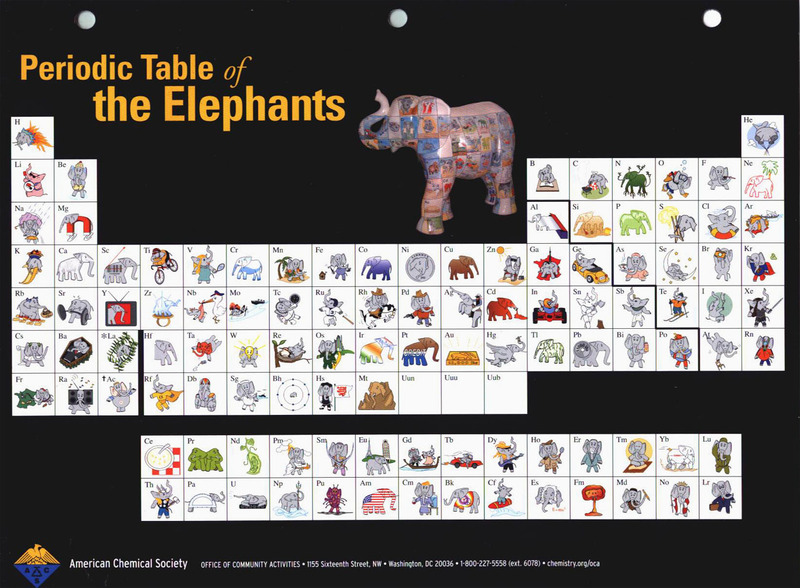 Mary E. Saecker writes an article in Chemical Education Digital Library, Periodic Table Presentations and Inspirations: Graphic Representations of the Periodic System, that reviews some periodic table formunations. 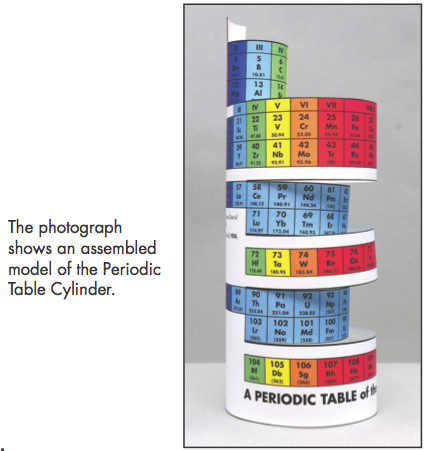 Supplement to: Periodic Table Presentations and Inspirations by Mary E. Saecker, J. Chem. Educ., 2009, 86, 1151. 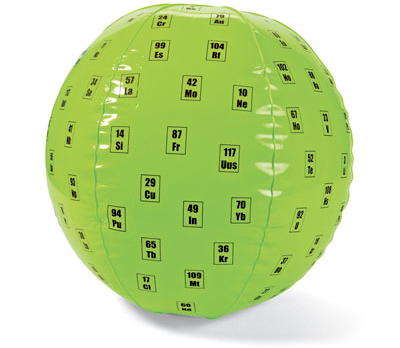 Toss some fun around the classroom with this 15" inflatable ball challenging students to name 118 elements from the Periodic Table. 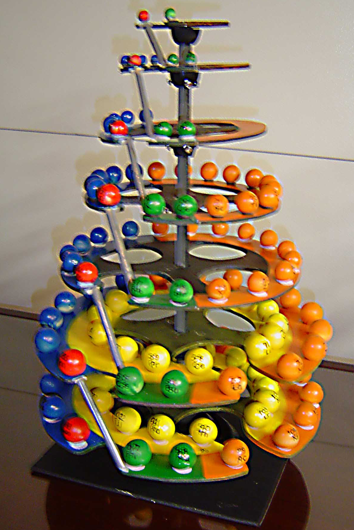 Two or more players toss the ball to each other, giving the element name for the number and symbol on which their left thumb lands. Answer sheet and instructions included. Grade 6 to adult. 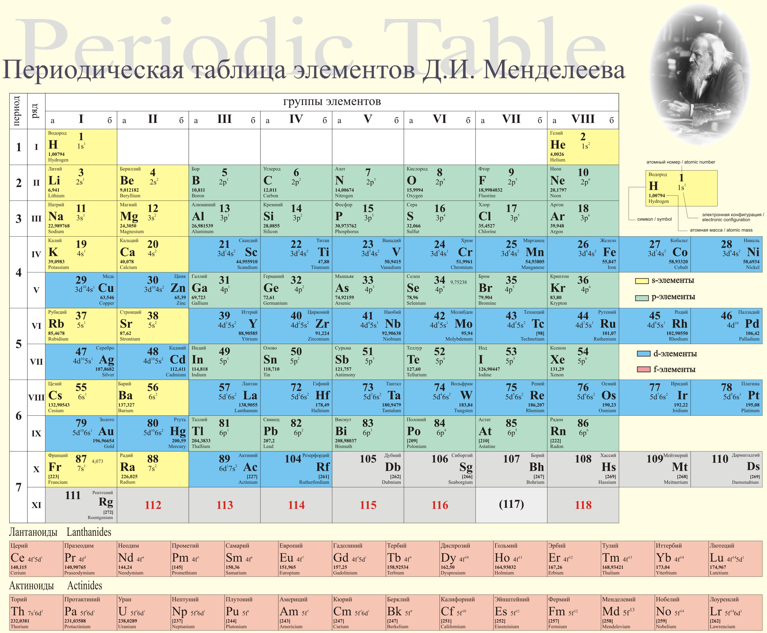 From Secology.Narod.RU: "Must also give up the basic heuristic principle of Mendeleev and follow him. 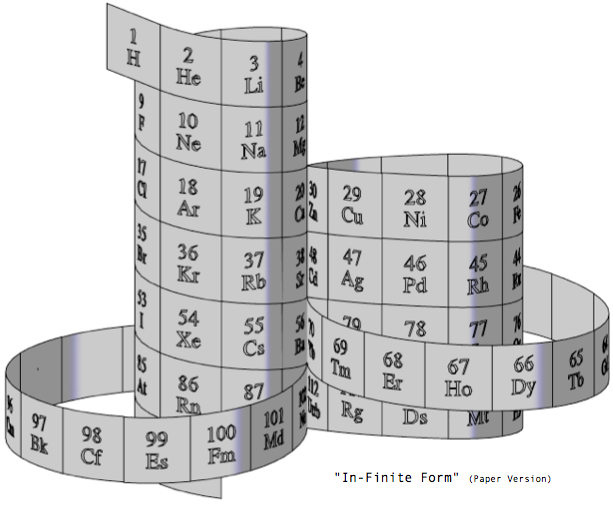 Forget about the group, we will not argue with what period begins, but just consistently and continuously to build all the elements in a row in ascending order, and fold this series into a spatial helix, in the corporeal form, allowing the convergence of such chemical elements in the vertical..."